HMH Books for Young Readers, 9780544668355, 40pp. 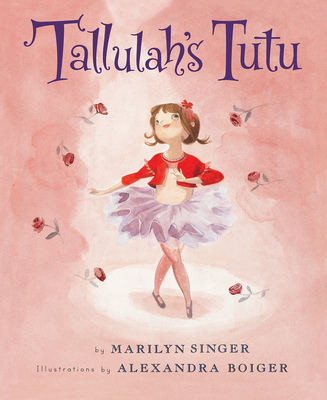 Tallulah just knows she could be a great ballerina--if only she had a tutu. She signs up for ballet class with great anticipation, only to be disappointed when tutus aren't handed out. When she learns that one must earn a tutu in dance class, she quits in a huff. But everywhere Tallulah goes, things keep reminding her of ballet. Her neighbor's basset hound always stands in second position, and Tallulah always does a plie when patting him. And she can't pass a store window without doing a beautiful finish, or hear music over the grocery store intercom without performing. In the end, Tallulah returns to dance lessons because she can't stay away, and, after working hard all year . . . she getsher tutu.